In a darkly warped near future, lucrative disease cures are brokered on Wall Street's Genetic Stock Exchange. And the hottest consumer products are artificially synthesized humans that serve as everything from domestic slaves to combatants in savage gladiatorial games. 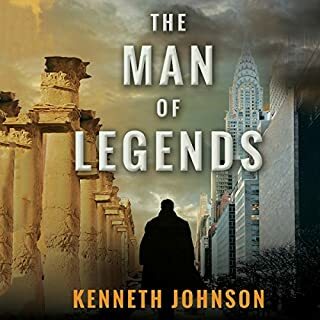 For Jack Saxton, the young heir to genetic design powerhouse Genico Inc., these Synthates are just a fact of life...until the murder of a high-profile genetic scientist leads a pair of seasoned NYPD detectives to Genico's door. 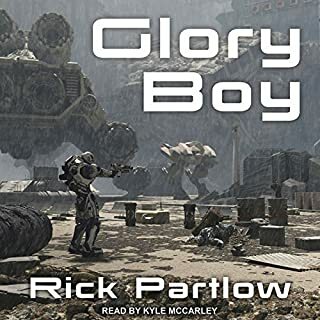 Now, a diverse, highly skilled ensemble of astronauts - and a pair of maverick archaeologists plucked from the Peruvian jungle - will brave conspiracy on Earth and disaster in space to make a shocking discovery. 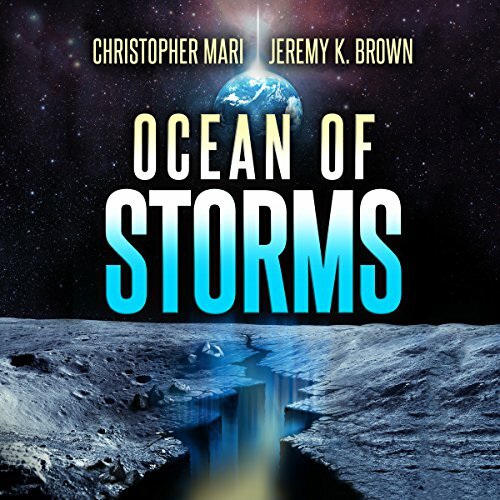 Ocean of Storms is an epic adventure that spans space and time as its heroes race to fulfill an ancient mission that may change the course of humanity's future. ©2016 Christopher Mari & Jeremy K. Brown. (P)2016 Brilliance Audio, all rights reserved. I think the author just read a book on the Apollo program and that is about the extent of his knowledge on the subject of space travel. Things could simply not be done the way he suggests - totally and utterly impossible. Read this only if you have no technical knowledge about the space program, if you have any such knowledge, the book will upset you time after time. Characters are stereotypical on steroids and not well developed. The bottom line is that it is not well written and boring and disrupted by tech errors. The narrator is also not very good. I gave up about 1/3 of the way into the book and I rarely do that. Ocean of Storms is a well-paced sci-fi action novel that puts America against China in another space race. The main idea that drives the story is certainly interesting. While it has been done before, I liked the way the authors chose to spin it out this time. Ocean of Storms gets enough points for sheer entertainment value to negate some of the unbelievability issues. This is very much one of those books that you’d expect to see as a Syfy movie. Maybe even a little two part mini-series. If you think too hard about it, it’ll crash and burn, but if you sit back and enjoy the ride, you’ll have a blast. One of the things that I just could not believe is that Americans couldn’t easily recreate the technology we used to get to the moon. As famous as those endeavors were, and as much as we’ve built off of them since then, this is almost impossible to believe. It is a major hiccup in the story. The second hiccup is where the EMP basically only slaps at technology instead of giving it a swift thump. My understanding is that while EMPs aren’t quite as dangerous as what’s typically displayed, neither are they something that provides only a minor inconvenience. There are other issues, but these were the two that really bothered me. Luke Daniels is the biggest part of why I still hold this book in affection. He did a great job narrating the various characters and definitely brought them to life. They might not have been the most well-rounded individuals but they were still fun to listen to. (Actually, they’re rather one dimensional, but I still liked them!) I initially had rated this book higher than what I eventually settled on. I did it because he made me enjoy the story so much that I didn’t ever actually think about it. After I’d disengaged my happy story geek-out though, the issues with Ocean of Storms kept rising to the surface. With some tweaks to the story, Ocean of Storms could easily go from being a fun read to being a good one. I tried to give it a chance but clearly the author doesn't value research. You can't join the Navy and be a pilot at 18. To be an officer you have to first have a Bachelor's degree. Also Navy does not fly F-16s and F-16s can't land on carriers they don't have tail hooks or nose gear for the catapult. I put in as much time as I can. the story seems interesting but the author drones on about boring poorly researched astronaut training for chapter after chapter, god this book stinks. the narration was OK.
Review to come: my thoughts and questions later, but I need to digest everything about this novel first. First off, the narrator was excellent. With a wide range of voices and accents, you always knew which character was speaking. Very easy to follow along. The story was suspenseful and thought provoking with a number of tense, action packed moments. More than once I found myself parking my car in the driveway and then just sitting there listening until the end of a chapter. The book is linear, although sometimes we get multiple narratives that take place concurrently. Sometimes at different locations, sometimes different perspectives of the same event. The authors do a good job identifying and separating the different accounts so as not to confuse the reader. There are a number of twists and turns, some foreshadowing and a few times where you wish you could yell at the characters for not considering the obvious. Although the latter is usually cleared up by the authors after the fact. They do a great job leading you along until you start to think the outcome will be predictable, then they change course, keeping the story fresh and progressive. All told, it's a great Sci-Fi story that's well rooted in fact. Everything is believable, understandable and down to earth (except for the space mission, that's a real moon shot). It's one of those stories that you just don't want to end. Another superb performance from Luke Daniels. Overall the story was descriptive and full, much credit to the authors for creating such depth. A joy to read and listen to. Only criticism was that some parts of the story and some events were a little laughable to be fair. These detractors gave a feeling that the book wanted to be taken seriously but was over shooting the mark in some events and aspects. Very enjoyable all the same. Does Luke Daniels have split personalities? He must have in order to do so many character voices so well. Amazing to listen to and visualise. This is like the movies "Armageddon" and "Sphere" are combined in a book. The worst parts of both. The book is all cliches, predictable dialogues, and had the least realistic scientists and astronauts that I've ever seen. 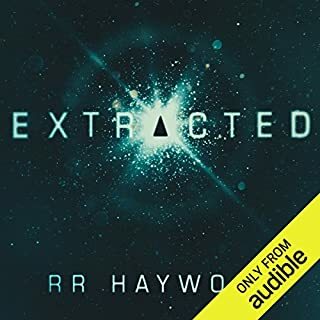 I couldnt get past chapter 3. the author would have you believe that alien tech on the moon has sent an EMP and briefly knocked out all of Earth's electric grids and electronics. Sounds cool except 1) the effects are line of sight and can't travel around to the far side; 2) an EMP would fry electrical components, not turn them off temporarily; and 3) the area of the moon where the alien tech lies buried is on the nearside of the moon but doesn't quite face the Earth. The pulse apparently hides code that is found to be lat/long coordinates on the moon. very omnious except that the ancient buried tech would have to know our points of reference and how we determine coordinates. There are many coordinate systems that we (humans) use. there is more but if. 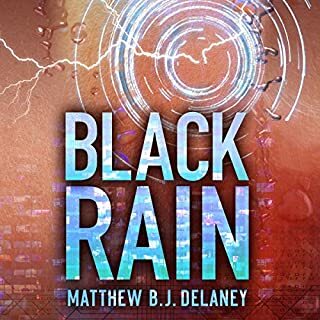 you don't care about piss poor science in your sci fi, this reads more like a clive Cussler novel. Enjoy! Concept was good, but poorly written. 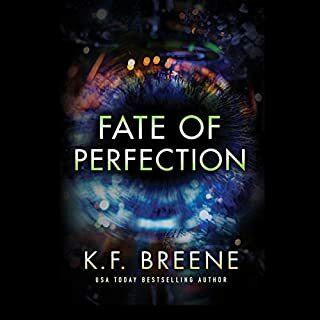 I was enticed to give it a try by the concepts presented in the summery, however this book was so poorly written and the characters such one dimensional tropes that I could not make it thorough to the end. 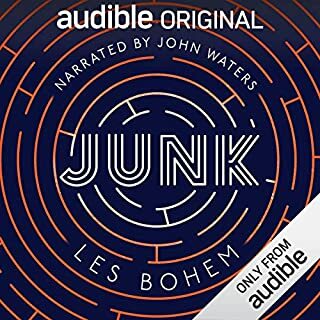 normally I have policy of finishing everything I begin to read/listen even if its bad but I just could not make it thorough past about five hours. The plot holes, bad character reactions and poor dialogue were distracting to the point of annoyance for me. I am fair and will try to listen again later. If I find I feel different then amend my review. There's a good book in there, but it needed more editing to get there. Even so, I give it three stars because I've read/heard much worse, and the story itself is pretty good. There was a lot of head hopping, many info dumps, and too many "As you know, Bobs" on top of some fairly egregious technical errors. For example, the author states that there's a side of the Moon that never sees the Sun. That is flat out wrong, and could have been avoided with a quick Internet search. There's a side of the Moon that never sees the Earth because of tidal lock, but as the Moon orbits us and rotates, the whole Moon gets a piece of Sunshine. Anyway, if you ignore the head hopping and such, it's worth a listen.